We are a leading Wholesale Trader of polarimeter device and polarimeter from Mumbai, India. 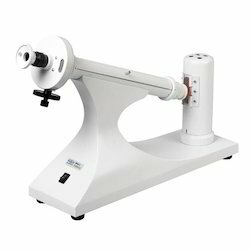 The laboratory polarimeter which we manufacture is a reliable instrument for accurate measurement of optical rotations, for study of polarisation effects and for quick and easy discrimination between right-handed sugars such as dextrose and left handed sugar such as laevulose. The instruments find use in industries as well as in colleges and universities. We are rated among the top analytical polarimeter manufacturers as well as suppliers. Used in medical, pharmaceutical and chemical research laboratories. Consist of a imported half shade nicol polariser, analyzer, 100mm. Diameter circular scale divided in degrees 0-360 deg. X 1 deg. And a sugar scale divided –30 deg. To + 130 deg. X 1 deg. Iss, a divided micrometer drum is given to read 0. 05 deg. (3 minutes) and 0. 1 deg. Iss, the scale is properly illuminated for taking readings, the body is very sturdy and separate sodium lamp is stand is provided. Complete with polarimeter tube, bubble traps at the center, 200mm. Sodium lamp with stand and transformer. Different types of Polarimeter we offers:- Research Polarimeter (400 MM), Digital Automatic Polarimeter, Student polarimeter Half Shade,Desk Polarimeter , Student Polarimeter (Biquartz), Semi Automatic Polarimeter. 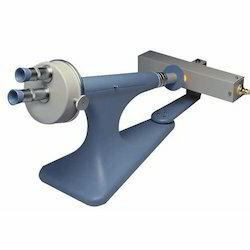 Polarimeter (220 mm) GNI make Indian Tube having both angular sugar scale with Rotating Triple Shadow effect with fine optics, suitable for sugar industries without Lamp Assembly. 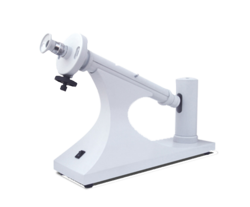 Polarimeter (400 mm) GNI make Indian Tube having both angular sugar scale with rotating Half shadow, without Lamp Assembly. Polarimeter Tubes, Center / Side Filling, Optically True.